Are you sick and tired of slow broadband? And fed up with waiting to see if a better service will ever reach your location? There may well be a solution that's available to you right now. We provide 3G/4G broadband service with unlimited data, no telephone line needed, contracts from 30 days. 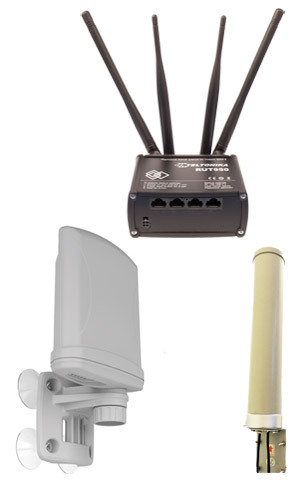 The routers can have external aerials fitted when internal coverage is poor coverage. Site survey service available. Ofcom's Mobile Coverage Checker https://checker.ofcom.org.uk/mobile-coverage provides a single-stop for consumers and businesses across the UK to discover the quality of the mobile coverage in areas where they live, work, or intend to move. The Mobile Mast Finder by Ofcom http://sitefinder.ofcom.org.uk/ search is an application that will let you search for mobile masts in your locality and includes information about operators, mast height, as well as the frequencies and mobile standards used.